I wanted to share my story of a heat pad gone wrong so this does not happen to anyone else. I think I had the pad set too high and my little one week old Maltipoo (Maltese / Poodle hybrid) puppy made its way onto it. The dam kept burying her puppies and one of the pups made its way under the blankets and directly on top of the pad. The puppy's skin was burned. There was infection under the scab. 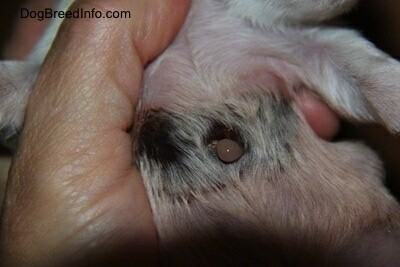 The scab had to be opened up and the wound allowed to drain. The pup was put on antibiotics. It is important to set up the heat pad correctly to make sure the puppies do not end up directly on top of it. For example: place the heat pad down and put a couple of blankets on top of it, then place the whelping box on top of the blankets to weigh it down, so there is no chance of the pad getting directly next to the pups skin. Puppies should always be monitored to make sure they do not get themselves into trouble. 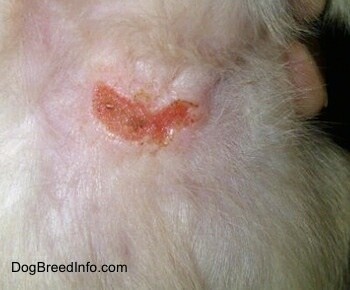 Pictured is the wound after five days of treatment. 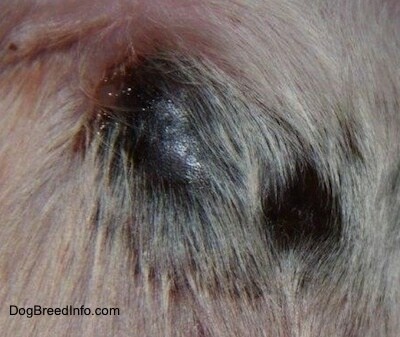 Pictured is the wound a week after treatment. 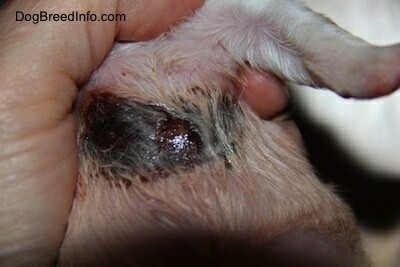 The scab had been loosened so it could continue to drain and the da chewed and licked it all the way off. The puppy is still on antibiotics orally and topically. 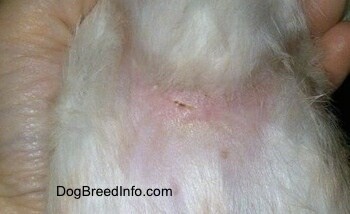 The wound appears to be healing nicely and the puppy should be ok. This is the puppy two weeks after it was burned. The wound is healing up nicely. This is the puppy three weeks after it was burned.